How Do People View It? Game Hunt isn’t exactly a big name in the industry, so when it came time to bring their A game they went all out. 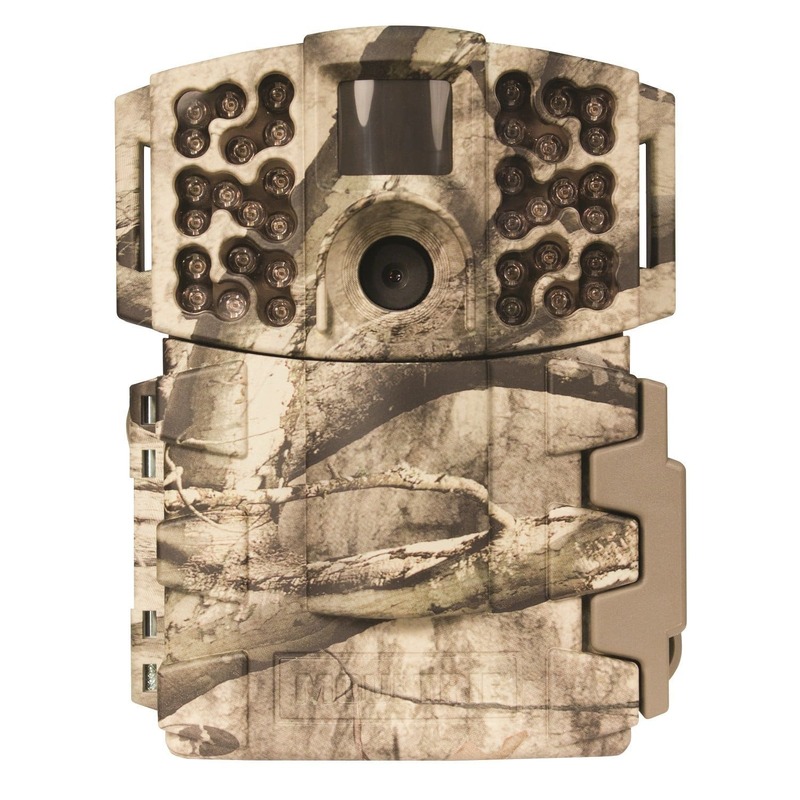 The high priced Game Hunt V300 HD 12MP Digital Game Cam Trail Camera is an innovative look at a powerful camera combined with media capabilities. It tries and works as an all in one and should be considered a very good contender for your next trail or security camera. The styling is interesting, since they tried to go for a camo look and got more of a camo faux look. It looks like plastic camo, but will do the job of blending in when necessary. In fact the camo is so unobtrusive that it would work well as a home security camera. In both settings the camera is no more well-hidden than it is in the other. It’s not a heavy camera at all and clocks under 1 pound in total, but has a weird shape. The camera stands tall rather than even like other trail cameras, so the placement might be a little tricky if you are putting it in a cramped space. Some cameras like this that stand tall tend to have rounded edges, but this is completely in the shape of a rectangle and is thick from both sides. It won’t be as difficult to place it if you don’t have to squeeze it into a certain spot, so in that case don’t worry too much. All levels are welcome to use this without too many bumps in the road, thanks to good customization choices. The manual spells it out in laymen’s terms, and most users should grasp the advanced settings in as little as a week. There is nothing too complicated about the camera that will really make it a headache for anyone, and the company intended it that way. The case looks weak but it is actually quite strong, sporting a IP54 waterproofing spec, and able to take a considerable amount of damage when put to the test. Where the exercise in patience will come is how to judge just how durable the LCD screen on it is. The screen is going to be the weak point, so if it gets hit hard then the value of the camera drops considerably. And with it being out in the open the way that it is, a standard screen protector is highly recommended to keep it safe and scratch free. As a full HD camera, it doesn’t pull any punches with its video or its pictures. The 12MP can be dialed down to 8MP or 5MP, saving space on the SD card and also saving the battery. Video resolution is also available in 1080p, 720p, WVGA and QVGA. Both modes of picture and video are incredible beautiful to look at, and the camera doesn’t miss a beat when it comes to pumping out pretty frames or shots. This is one of those types of cameras that lets you go half in with 4AA or all in with 8AA. The amount of power you want to give to the camera is completely up to you, but it is advised to use the full amount in order to take advantage of the higher tiers of resolution. The full 12MP will eat up batteries fast, so make sure to use a good brand and always keep 8AA in the camera. A true HD camera that takes multiple resolution photos and videos, all from a dependable and flexible 12MP hardware. Night vision works really well and with automatic motion sensing can trigger an action from 65ft. A trigger speed of 0.7 seconds beats out a lot of name brand cameras, with the burst shot mode using that trigger speed to take multiple photos all in one snap. Support for a 32GB card to fill up with all of your HD media so you can transfer it to your computer when done. PIR field of view is wide, getting a full 100 degrees so you can put it in an open area and reap the benefits. The warranty is only 1 year, which wouldn’t be a con on most cameras. The problem is the LCD screen is prone to damage since it is 2 inches and directly on the front face of the unit. Battery life even with name brand is only 3 months when operating at the highest level. Expect to invest in rechargeable batteries or pay more for batteries per year than you did for the camera. Company with less pull in the industry means if you do call in the warranty you are taking a risk and hoping that their support is as good as the bigger brands. Customers are recommending this camera over big brand names, saying it is more power in every respect to Bushnell and even Covert. They are also talking about how the accessories included with the camera enhance the experience, like being able to use the remote while a safe distance away. The biggest point for customers seems to be the large 2 inch LCD screen that lets them comfortably check all of their media directly from the camera without having to move it from its position. It is regarded as the best LCD on any camera in the industry. Included in the package is a wireless remote, nylon fastening belt, USB cable, A/V cable and a pretty thorough instruction manual. It is a tremendous value, even at the current high price. Brand name or not, this is a popular little camera that has grown a solid fan base over the years. If a screen protector is applied to the LCD the moment you remove it from the box, then it will last for years maybe up to ten. The current specs are futureproof, and it is heads and tales above a lot of the cameras currently out. There won’t be a lot of cameras that surpass the specs of the V300 in the next few years. The camera is considered to be rare at this point, so wherever you find it make sure to purchase it! Many people pass this camera up because of the brand not realizing just how much of a deal it is. This is one of those cameras that when it is gone you feel bad that you let it slip through your fingers. Take advantage of any purchase option when it becomes available so that you don’t miss out on this camera. Brand names can dominate a lot of the industry for good reason, but that doesn’t mean they are always the best. The Game Hunt V300 HD 12MP Digital Game Cam Trail Camera is an awesome camera with an incredible amount of extras that will satisfy users of all levels, while giving them the advanced features that they crave. If the camera is taken care of properly it will be the only camera you need for trail hunting or home security for a very long time. This is a deal that shouldn’t be passed up, as Game Hunt put their all into it. Copyright © 2019. Created by Besttrailcamerareviews.org.